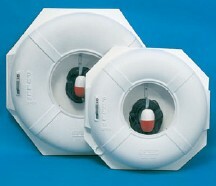 Life Ring Cabinet and Ring Buoy Combination with 24'' Life Buoy. 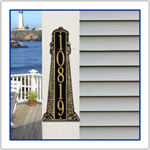 Provides years of retained-new condition in a beautiful white plastic cabinet. Includes Cabinet with Jim Buoy GW-24'' life ring, 60 ft. or 90 ft. life line and lemon foot anchor, all mounted inside a life ring cabinet and shipped as a single unit. The Life Ring Cabinet totally encloses a 24'' life ring and a 60 ft. or 90 ft. life line and a lemon foot anchor. Unbreakable polycarbonate window with stainless steel hinge and fittings. This product ships directly from the manufacturer in approximately 2 weeks.